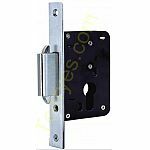 Mortise Lock is also called Mortise Lock Body, Inside installation lock, Door Lock, Cylinder lock etc. 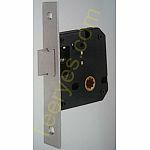 It can be used on Wooden door, Metal door, Interior door, outer door, swing door etc. 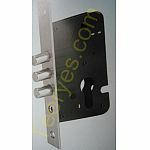 The main sizes are 25/35/40/45/50/55/60(C to Plate)x72/85(C to C)mm The main raw materials contain Steel Body, SS front plate, Brass Latch&Dead bolt, SS strike plate. Lacth & Dead bolt is up to customer’s choice. Customers can choose according to door thickness, width, weight and using environment. Custom designs, sizes, colors, and logos are welcome.